Belgium is the home of the world’s largest beer producer AB InBev, producers of US Budweiser, Stella Artois and other well known brands. It is also home to over 200 independent breweries producing some of the most distinctive beers in the world. Diversity is the great strength of Belgium Beer brewing, products range from highly individual Trappist and Abbey brews through to bland mass produced pilsner style beers with pretty much everything else in between. 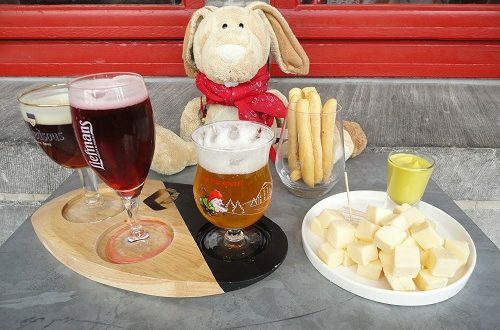 Here are some of the Belgium Beer styles to look out for. Abbey ales get around the monastery restriction although they require licences to use the term. They are produced commercially but resemble various Trappist types. Leffe, made by AM InBev is the most famous example. 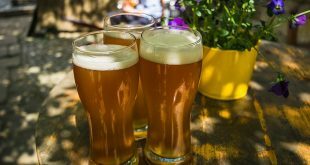 In Flanders, for around 500 years, beers using wheat, herbs and other flavourings, predating the use of hops were widespread. By the mid-twentieth century all the breweries had closed. A local farmer Piere Celis had a mission to recreate the style using coriander, citrus peel and hops. He succeeded leading to the establishment of Hoegaarden. 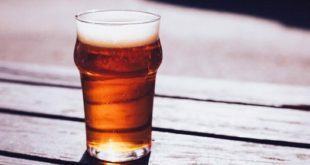 Ultimately his brewery was acquired by AM InBev thankfully their attempt to close the brewery and move production was thwarted by strong resistance. Lambic beers are also wheat based, their distinctiveness comes from using wild yeasts. The beers are stored for unusually long periods to mature. Fruit is added to some types. Production volumes are low with limited distribution. 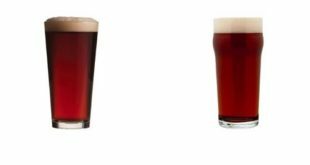 These are top fermented ales not dissimilar to stronger english style pale ales, less hoppy than IPAs. De Koninck (5%) from Antwerp is an excellent example as is Palm which can rarely be found served using UK style hand pumps. Stronger still is Duvel (meaning Devil, 8.5%), is now available internationally. It’s has a UK or more accurately Scottish link, as the yeast strain originated there. The colour comes from using lighter pilsner style malts. One of the most noticeable things about sampling beer in Belgium is that every beer has its own style of glass. Both shapes and sizes vary. Pint size (really 500ml) draught beer glasses can be sought out. Having a special glass does help the experience. It must be a storage nightmare for bar owners! 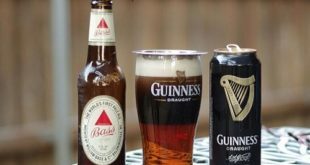 At Christmas, boxed beer and glass sets are a popular gift, an idea copied not too successfully by UK brewers.